Do you wish to see elephants playing in the Ramganga river water in the slopes of the Himalayas? If so, then definitely plan a trip to the Nainital district of Uttarakhand this holiday season and visit Jim Corbett National Park. It is one the oldest national park in India which has always attracted nature’s admirers from all over the world. Even though this park is mainly renowned among the wildlife freaks for wild cats- Tiger, but visitors can even get the chance to see elephants here that too in large numbers. 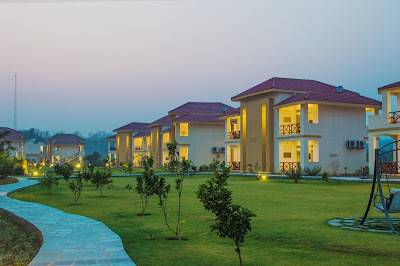 While you stay in the Jim Corbett national park resorts, you can go out and explore the jungle along with professional tour guides. These tour guides undoubtedly hold years of experience and are very aware of the fact that when and where you can spot elephants. You would definitely enjoy the scene of elephants lying down in a small stream and obstructing the entire flow. Isn’t that most amusing scene? Besides this, you can even enjoy the scene of elephants standing in river water and throwing water on their bodies through trunks. They throw water onto their back. We have always seen such kind of scene only in Discovery channel, right? If you wish to watch the entire episode very closely, then you need to visit Corbett wildlife sanctuary. Spanning an area of over 500 sq km, this National Park came into being in 1936 under the name 'Hailey National Park'. Later it was given a new name as Jim Corbett National Park after a hunter turned environmentalist, Jim Corbett whose great contribution led to the establishment of this Park. As per the estimates, this park is a home to around 575 avian species, 33 types of reptiles, 50 mammal species, 7 categories of amphibians, 37 dragonfly species and about 488 types of plants. While appreciating a jeep or elephant safari in the thick greens of this safari, fortunate wildlife aficionados may get a lifetime chance to sightsee tiger, leopard, barking deer, sambar, hog, Blackbuck, Black bears, grey mongoose, otters, yellow-throated martens, goat-antelopes, pangolins, and langur, to name a few. In addition to exploring the thick greens, holidaymakers can work out short expedition trips to Dhikala, Garjia Temple, and Corbett Museum etc., which will certainly make your long weekend to Jim Corbett unforgettable for a lifetime. Of all the wildlife safaris in India, Jim Corbett National Park offers the most exhilarating ones. Wildlife enthusiasts and nature lovers from faraway places come to spend some time in the wilderness at Jim Corbett and feel more relaxed while being away from hectic work schedules. It is certainly an invincible element of incredible India. Are you looking out for reasonable holiday package and stay at Jim Corbett national park resorts? 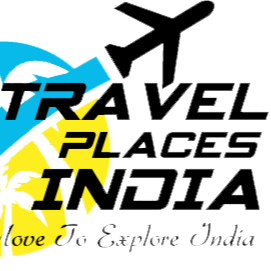 If yes, then give us a call at 01244380237 to get detailed information about the holiday package.